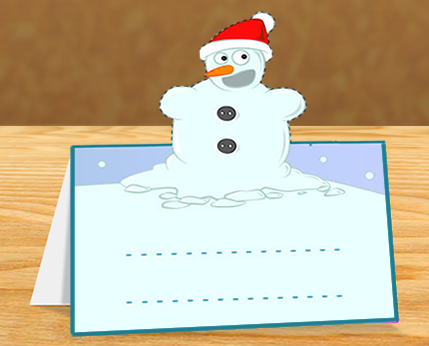 Print the Santa and Snowman pop up card template on card stock paper. Use scissors to cut out each design. Cut along the dotted line of each character to create the pop up effect. Add your name or message.